Comments: This succulent is grown primarily for its attractive silver-gray spindle-shaped leaves closely arranged on long stems. 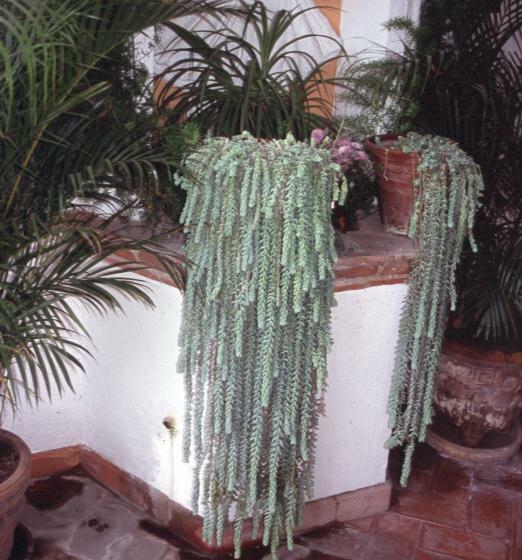 This cactus is especially attractive when grown in a raised planter so the foliage can drape over the sides of the container. Water sparingly and grow plants in a well drained soil and in full sunlight. Apply fertilizer only once during the growing season. Allow soil to dry between waterings, otherwise rot can occur.